Sea, Sand & Sky: Fishing Trip Fun ! Hey everyone Manny, here! 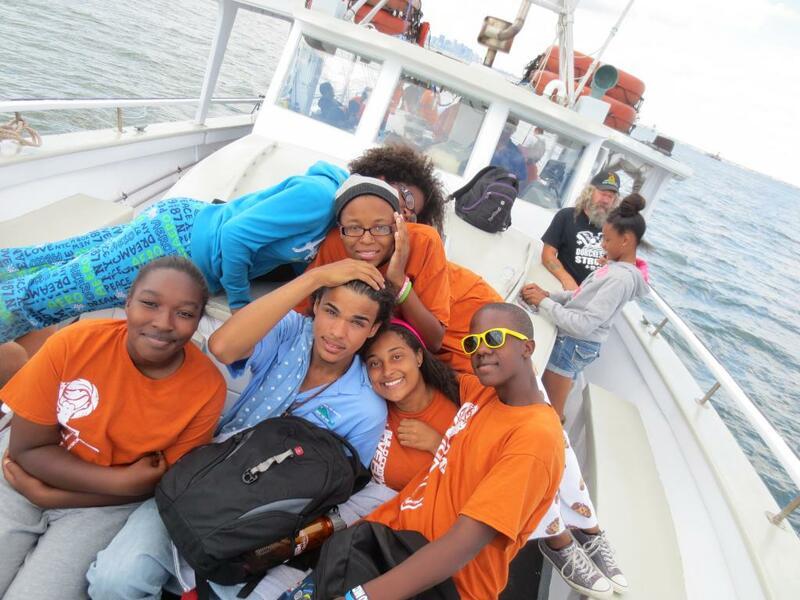 Just wanted to share this awesome photo of me and a few of the kids from Camp Harbor View, and the fun time we had on the fishing trip. Besides spending lots of time fishing we also talked about a lot of interesting things while on the boat, for example what some of our favorite sea creatures were, and which ones were the most interesting. A lot of the kids said the shark was there favorite, but also a lot of them said dolphins were there favorite, so throughout a majority of the boat ride there was a long debate on whether sharks or dolphins are better. 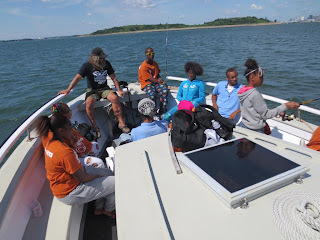 As we continued throughout the harbor looking for schools of striped bass or bluefish to catch, one of the kids caught a small bluefish while getting into a deep conversation with another camper about why sharks are better then dolphins. As the last statement was made she was reeling in her line and she felt a tug as the fish shot up and grabbed her rising bait.